"Can I on Android recover deleted files?" "How to restore deleted contacts, videos in Sony Xperia m dual?" Accidently deleted photos or videos from Samsung Galaxy? Want to restore lost contacts or messages from Adroid HTC One Phone? Here you can find the easiest way to recover files from unrooted and rooted Android phone, including contacts, SMS text messages, call history, photos, and videos. Why Is It Possible to Recover Deleted Files from Android Smartphone? You may fall into the trap that the deleted data would not be back again on your cell phone. In fact, when you deleted your Android pictures, videos, contacts, etc., or the files are lost due to factory reset (hard resetting), flashing ROM, rooting, formatting the SD card, they are not really gone immediately but just disappear from the screen until new data overwrite the space. So with the help of a third party program, such as an app to recover files on Android phone, you can easily recover deleted data from Android phone. How to Recover Contacts, Messages, Call History, Photos, or Videos from Android Phone? Recovering deleted files on Android would be an easy task once you choose the right way. 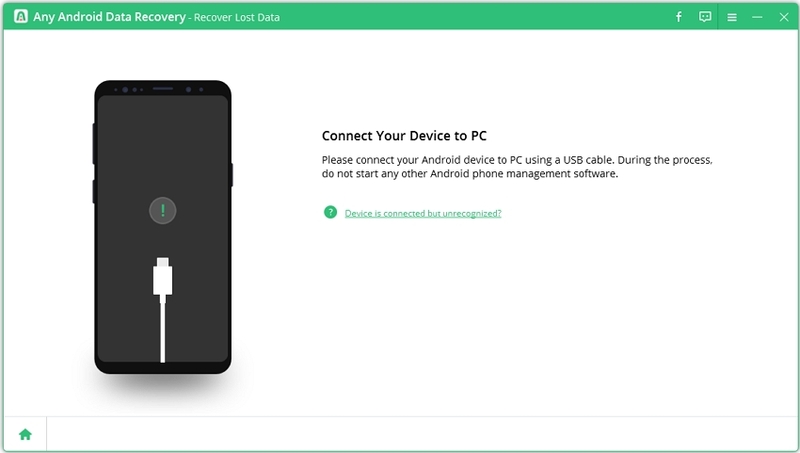 Here Android Data Recovery is highly recommended since it is the most powerful data recovery software for Android phone (whether it runs Android 6.0, Android 4.4, Android L, or newer, 3.0 to 4.1, 2.3 or earlier). No risk, no damage to data or your phone, effortlessly extracting your internal storage and the SD card to recover data from Android phone, optionally previewing any wanted data before recovery, etc. these are what Tenorshare Android Data Recovery features. You can have a free trial. As to the function to recover deleted files from Android phone, Android Data Recovery supports all of the following hot phones as well as other brands, no matter whether the phones are rooted or unrooted. Here is the tutorial on how to recover deleted files from Android phone and it only takes you no more than 2 minutes. Step 1. Download, install and run Android Data Recovery on your PC. 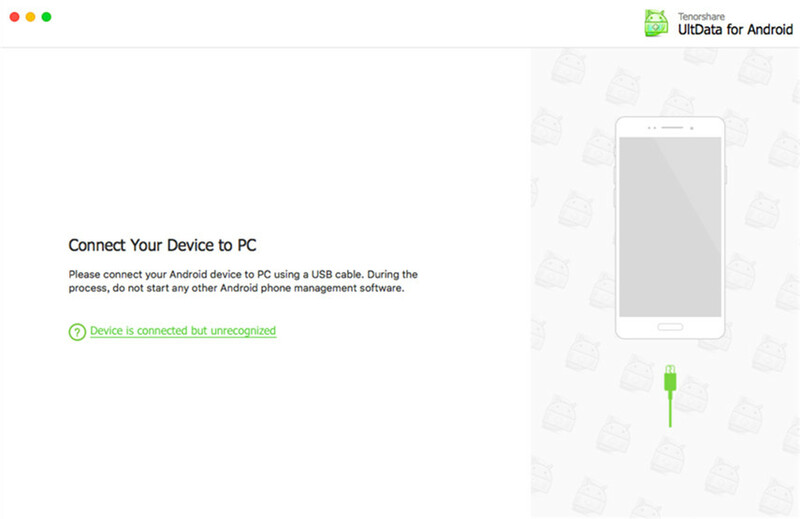 Then connect your Android phone to PC with a USB cable. Step 2. Allow Tenorshare Android Data Recovery to detect your phone. To do this, enable USB debugging and turn on USB storage by following the introductions provided on the software interface. After finish, click "Next" button. Step 3. Click "Allow" on your Android phone to allow the program super user authorization and click "Start" on the program interface to scan your phone. Step 4. Select files to preview after the scan. Choose any wanted ones and click "Recover" button. Then select a save path to save these files. After all these steps, data recovery from Android phone is done and you would not be troubled any more by this question of how to recover deleted files on Android phone. If you have any problem, please don't hesitate to contacts with us. Now we also go the recovery app for Android phone on Mac Pro or on other Mac computers.